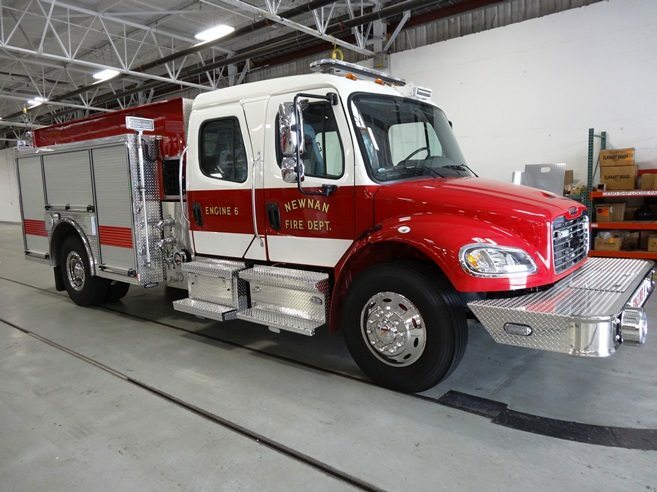 This unit was purchased by the City of Newnan located in Newnan, Georgia. 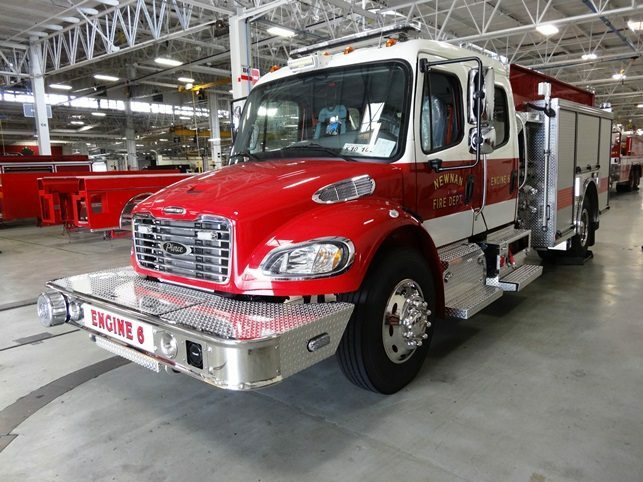 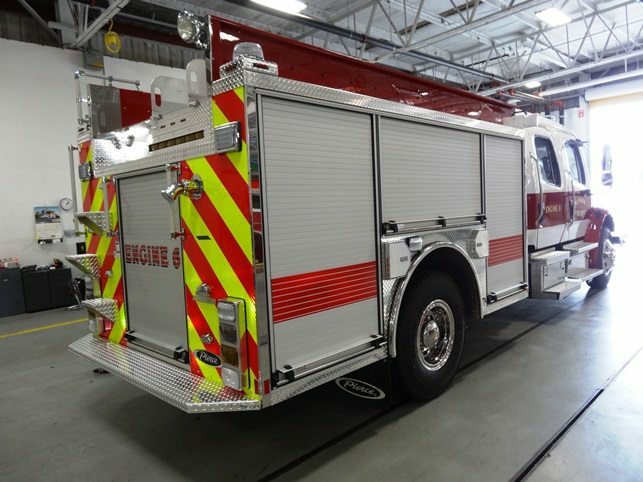 Manufactured by Pierce, this Responder Pumper is on a 2015 Freightliner 4-door M2-106 chassis. 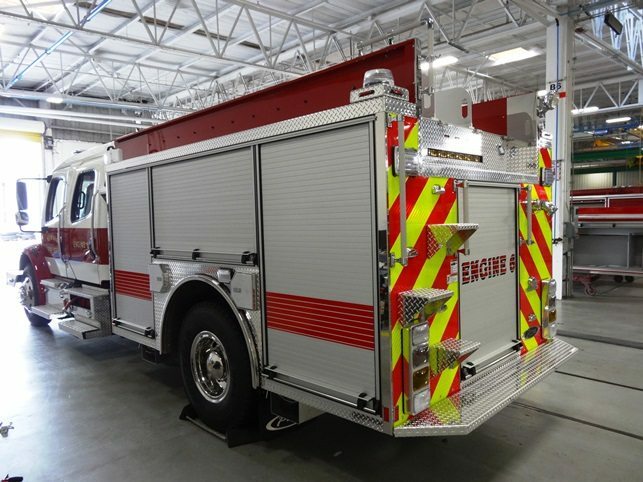 The unit was sold by Ten 8 sales representative, Lamar White.